We have traveled for about 12 months total in the last 1.5 years and I am learning more and more what kind of camping I like. John and I loved tent camping, in fact we still do, but I couldn’t tent camp for all this time. I don’t mind a few nights without hookups (electric, water and sewer) but I must say I like being hooked up and not worrying about power and holding tanks. I have found a few things I don’t like too. I don’t like HUGE RV parks where you need to drive the car just to get from one end to the other. I don’t like crowds. I don’t like camping in the city where I hear lots of city noise, but I do like being close enough to one for outings and supplies. This past November while hiking Vulture Peak we struck up a conversation with another hiker we met on the trail. She and many of her friends are planning a trip to Acadia National Park. She asked us if we would send her an email with our favorite hikes. It took John and I a while to settle on our favorites but we wrote them down and mailed them off to her. I decided I should share this information on my blog in case others are planning a trip to Acadia in the near future. This is our first trip to Yuma, Arizona. 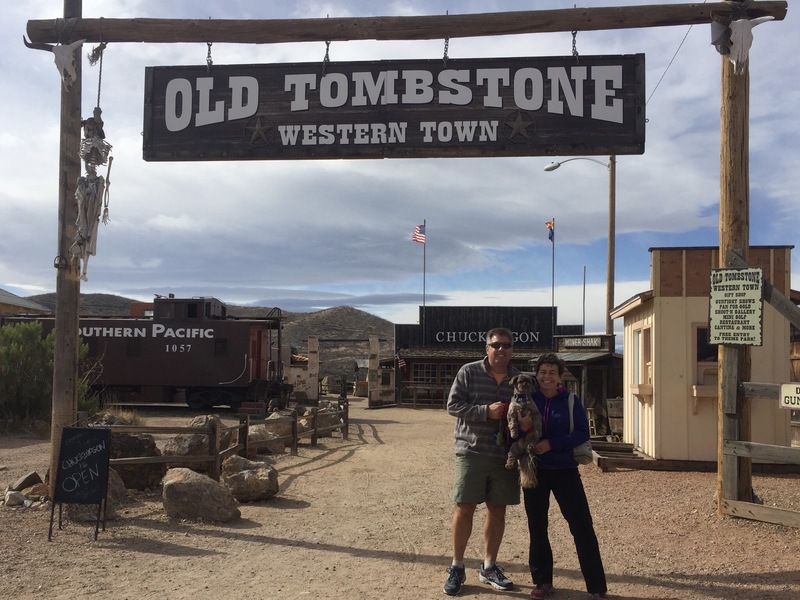 In our 2 years of traveling in the west we have heard lots of people talk about going to Yuma, so we figured we would stop for a few nights on our way to Tucson. Our first campsite is actually in Winterhaven, CA right on the border with Arizona. One important thing to know if you are staying here is that it is on “Arizona time” as is Los Algodones, Mexico. The first thing we had planned was a trip to Mexico. Everyone who talks about Yuma talks about crossing over to Los Algodones, Mexico. The attraction to this area of Mexico is inexpensive dental work, prescription eyeglasses and prescription medications. Our plan was to get dental cleanings and a new pair of prescription sunglasses. On Valentines we will begin our slow (2.5 months) journey east. We will have been on the road for 134 nights by the time we leave on Tuesday. This past week I think we “hit the wall” and we haven’t left the campground in 3 days. We have had a blast touring the U.S. and seeing all the sights. We decided we would take some time to rest up before we start moving east. This stay in Pio Pico is our last 3-week stay of the journey. Once we start moving east we will move every 2-7 days. This has been one of our favorite campgrounds. The first 2 weeks we loved the campground for it’s close proximity to San Diego. This last week we have appreciated the location itself. The campground is one of the few we stay at where you can literally walk out of your RV and start hiking right from the park.